Last year we organized a week’s worth of events for Earth Week, culminating with the international “March for Science” where over 50 US employees attended a march and rally in Boston, MA. Wanting to advance our employee engagement on environmental action, this year we opted for an Earth Month with weekly workplace events, lectures, and volunteer opportunities. Cell Signaling Technology (CST) kicked off Earth Month in partnership with Massbio, by moderating a private sector forum on climate change entitled “From the Boiler Room to the Boardroom.” The event showcased environmental action plans from CST, Amgen, The US Green Building Council, and Harvard University. Building on the past successes of our Employee Volunteer Program, volunteer activities were planned around environmental themes. Volunteer highlights included an outdoor trail maintenance program for Supportive Living and groundskeeping/landscaping at the service dog project in Ipswich, MA that assist the visually and hearing impaired. Some of the organizations we partner with were recipients of our Small Grants Program, where we contribute funds to help institutions reach tangible, short term goals. On April 19th, we hosted a keynote environmental lecture from Ed Becker, President of Essex Greenbelt Association, a collective land trust that works on conservation in northeastern Massachusetts. 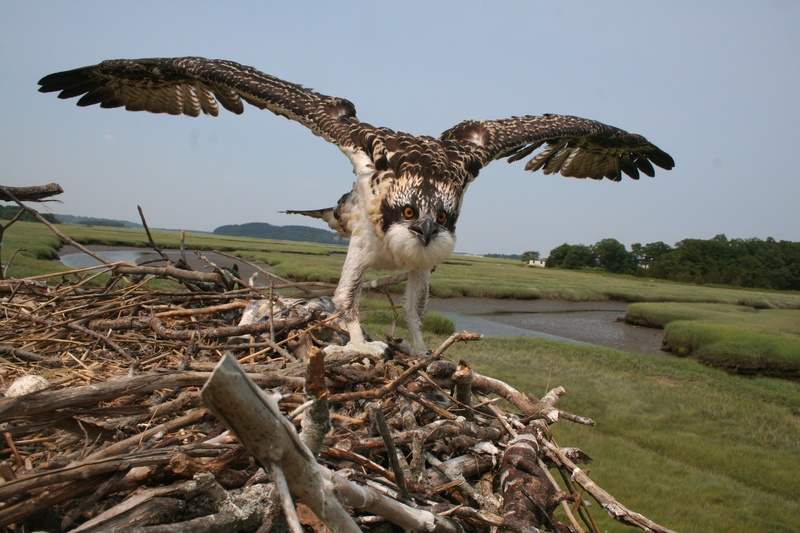 Protecting and monitoring osprey populations is one of their popular projects, and setting up nesting platforms in the region is crucial to supporting these majestic birds. The following week, CST employees learned about residential solar opportunities with Revision energy, who also organized electric vehicle (EV) test drives. This year CST is doubling EV charging infrastructure, and CST continues to provide financial subsidies for the purchase of fuel efficient or electric vehicles. Wrapping up our Earth Month activities, we screened an independent movie “Bag It” that followed the harms of plastics, phthalates, and BPAs on the human body as well as pollution and contamination in the environment. Earth Month was a great success, and we are proud that sustainability is truly embodied at CST through events and programs throughout the year. Interested in learning more about Corporate Social Responsibility?